0	What Does Transformation Mean for Your Market? The word transformation appears in marketing literature from time to time. In some respects it is an exciting word. Surely transformation is what we’re all after? But in other respects transformation is hardly an undiluted good. The word does not imply a change for the better but just change of any sort. I’m sure a prince transformed into a frog would not view transformation as good! Conversatio Morum – St Benedict’s principle of the person’s responsibility to achieve their full potential. It is interesting to note how little these four uses of the word have in common. I’ve used the word to mean both personal and societal change. However, I have used the word to mean positive change consistently. I think this is consistent with the way marketing literature uses the word. It usually means (and this is another use) the change that will take place in the life of a customer should they accept your offer. You are saying in effect that by buying your offer, they will find some aspect of their life experience will change for the better. It seems unlikely anyone would buy anything they did not believe would change their life for the better. But this is the point of the distinction marketers make between features and benefits. When you buy anything, it comes with a promise of positive change. If you can’t express that change or promise to deliver it, then you are unlikely to sell anything. No-one in their right mind wants a website, for example. Many people think they do because they have not considered what they want it for. This is why successful website designers sell the benefits of having a website. Someone who believes they want a website will pay the smallest amount they can get away with. If they have no understanding of what it can do for them, they will not value it highly enough to pay a higher rate for a product that effectively supported their business. Where the designer promises transformation, they increase the value of their offer. It means more work for the designer but what they can charge can exceed the value of their extra work. If you can’t grasp the transformation and express it in language your market understands then you will find your work will never make the financial returns commensurate with its value. Can you think of times transformation has worked for your business? Traditionally, Living Over the Shop (LOTS) was the obvious thing to do. Before the era of mass pubic transport, commuting was limited. What could be easier than rolling out of bed, downstairs and into your work area? Students of the history of architecture will no doubt have records of several types of housing that allowed workers, their families and employees to live and work together. Speaking of students of architecture, I met some this week on Fargate in central Sheffield. They were displaying some of their work on uses for empty buildings in the city centre. They have a Facebook page, Fargate Co-Studio 2016. 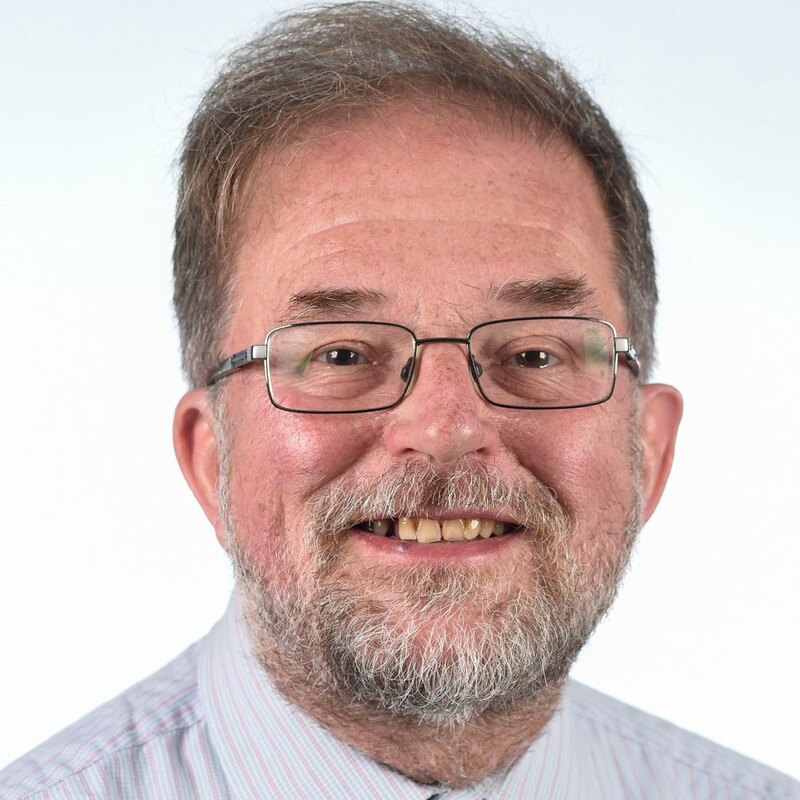 (I don’t know how long this page will be live, so if you are a historian of twenty-first century local economy bloggers, please don’t be disappointed if you don’t find it!) If it is there, scroll down to see some of the students’ work. The students were asking for comments. It is really hard to take in complex ideas on the fly. You can see the level of detail in the students’ plans on the Facebook page. To be asked to take this in and then respond constructively was a challenge. Furthermore, when I got home and read their leaflets I discovered similar displays and activities were live on that one day in four other areas! If I had known I would have followed their route and had a look at all their displays. I still might not have had much to say, I like to have some time to ponder stuff before commenting. So, simpler summary displays and more time would be really helpful and is likely to result in more constructive responses from the public. The originals could still be available for inspection – they were beautiful to look at but hard to digest! I don’t know the detail of the consultation that went on before the public displays this week. However, yesterday I attended a conference about Co-Production, put on by the University of Sheffield’s Social Sciences Department. This included some exciting models for participatory work between academics and communities, many of them in Sheffield. It would be good to see some collaboration between these departments (or even better to find out it is already happening). I shall blog about the co-production conference some time soon. In summary, I liked what I saw and believe with good relationships with local groups, some ideas might get off the page and become reality. The challenge is to move from an academic exercise to something that makes a real difference. Picking up my comment about co-production, let’s take it further. Julian Dobson describes the need to integrate several factors to regenerate urban centres. You will see some of them if you follow the above link to my review of his book. If we are going to regenerate our city and neighbourhood centres, we need plans that support all aspects of the local economy. Certainly way back in the fifties and sixties, small retailers would live over the shop. It was the natural thing to do. I suspect it was the new supermarkets that reduced the numbers of traders living over their shops. Maybe the increasing mobility of populations and aspirations to live in leafy suburbia also led to its decline. Even earlier, “over the shop” meant “over the workshop”. Goods would be manufactured, perhaps to order, in the same buildings where they retailed. In some times and places, the master (or mistress) would own a whole block. Family and employees would live together and share communal facilities. Clusters of such “shops” would form the agora, the marketplace where the public gathered for business and just about every other activity. My father’s grandmother owned a hotel (technical name for a doss house apparently) and a nearby row of terrace houses. They are now beneath University of Sheffield buildings, having been bombed during the war. My father remembered as a child carrying buckets of water up the stairs in the hotel. The family business is not such an ancient practice! What I am driving at is the need to build new models that allow for complexity of human interactions. You will note I’ve introduced Living Over the Shop under my general heading of “Resources for the Local Economy”. My aim is to build a database of ideas that will help regenerate local economies. It is unlikely any of these approaches will suffice alone. The architects must design spaces that accommodate both contemporary and future developments in the local economy. Communities are not just spaces but essentially the relationships within them. Financial arrangements between people form these relationships, as much as the nature of the spaces they occupy. This is why as living over the shop opens up new spaces, we also need to see new financial arrangements that allow money to flow in new ways around our towns. How can Universities work with local people to support and develop local economies? Will In-Store Proximity Marketing support local economies? The idea is you download an app that suggests items to explore when you enter a shop, according to your interests. When you visit a store, the app will tell you of offers that might interest you, via beacons attached to the products in the shop. A helpful introduction to this technology can be found at Will Shoppers And Developers Adapt to Proximity Marketing In-Store? So, let’s be clear. This app works once you enter a store. It doesn’t necessarily help you find the store in the first place. What it does is connects you with items in the store, the app knows will interest you. It can also make special offers. So, does this technology potentially support the local economy? My answer is a qualified yes. One major threat to local shops is the Internet. In my post Our Town Centres Today, I reference Julian Dobson’s book, How to Save Our Town Centres, where he describes three threats to neighbourhood centres and one of them is the Internet. How so? Well, some people look at products in stores and then search for them online where they can purchase them at a more favourable rate. Proximity shopping can to some degree mitigate this by making the in-store experience more like the online, offering favourable deals to people known to be interested in the product. So, imagine being in a bookshop and you are looking at a particular book that interests you but it is a bit pricey. The app knows your past purchasing and that you enjoy that type of book. It pings you with a special offer, perhaps a 10% reduction if you buy it now. To some extent this is speculation. Whilst there is no doubt people are working on these apps, there is no guarantee they could be integrated with local currencies. But then we never know if anything works, unless we experiment. However, I have one reservation. One common feature of apps that personalise the retail experience is they reduce potential for serendipity. One big advantage paper books have over electronic books is they are far easier to browse. Similarly a bookshop or library can be browsed. This increases happy accidents, finding things you would never predict would be of interest. To what extent would proximity marketing form or shape our preferences? The effects could be subtle, after all the app working well would point us towards things we know we like. Who would argue with that? What if a shop opened and no-one went in because their proximity apps told them, it contained nothing of interest to them? The shop closes and no-one would miss its contents. So, what do you think? Would proximity marketing mitigate the effects of the Internet on local centres or would it subtly impoverish our lives? Last Tuesday I wrote about the Co-operative Movement and the massive changes working people made to the country through mutuals. They did this without the support of community development workers and usually with luke warm support from politicians. The point is the economy is in our hands. There was never a time when politicians supported the structures the public needs to conduct their business affairs. How could there be? If we need institutions we must develop our own. We hardly remember Clement Attlee at all. It angers me when people say Margaret Thatcher is our greatest peacetime Prime Minister, whilst they forget Attlee. Can anyone point to anything she did that compares with what his government achieved? The fact people forget Attlee, demonstrates his greatness. He was no media icon; a man who simply did his job and faded out of history. Somehow the welfare state contained the seeds of its own destruction. Not because of its costs, if we want it we can pay for it through taxes. What we have lost is mutuality; an educated public with the vision to create new institutions that worked. Capitalists replaced them; seeking self-enrichment, not social change. Does the internet offer an opportunity to find our way towards another period of similar innovation? I believe it might, provided it’s integrated into the local economy. So long as the internet is a network of local economies and not one economy centralised in massive servers. Quite a challenge! How can we support local economies online? What are the new structures we need to regenerate our communities today? The Co-operative Museum, Toad Lane, Rochdale, where the Co-operative Movement began in 1844. 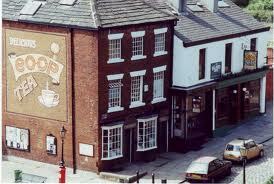 The Toad Lane Store has been a Museum since 1931 devoted to the story of the Rochdale Pioneers. It’s worth visiting the Co-operative Museum on Toad Lane, Rochdale. The layout of the building is the same as the original co-op, when founded in 1844. Retail co-ops addressed more than one issue, eg food adulteration; the Rochdale Pioneers wanted to sell food that could be trusted at affordable prices (honest food at honest prices). Note how the issue of how we regulate the market place recurs throughout history. Above the shop there was and still is a library that was also used for lectures. Education and self-development were integral to the co-operative ideal from the start. The customers owned the shop and who received a dividend; a share of the profits. As the movement spread across the country, many people joined hundreds of small retail co-ops and certainly my parents’ generation were able to quote their divi number as late as the early 2000s. The business did not expand from Toad Lane; the idea spread and hundreds of similar retail co-ops started all over the UK. In Sheffield, there were 2 co-ops during my childhood. Brightside and Carbrook (B&C) started with the signing of a document around the anvil at Jessop’s Mill, following an inspirational visit from a retail co-op in Keighley. The other was the Ecclesall Co-op on the other side if the city. The movement developed the Co-operative Wholesale Society (CWS) in 1863 to supply the many retail co-ops. They were the first nationwide wholesalers anywhere in the world, developing warehousing and shipping, railway lines to bring goods to local co-ops. The large supermarkets that sprang up from the 1960s onwards copied the co-operative movement. The building that housed the first ever department store is next door to the Toad Lane museum and yes, it was a co-op. Co-operative principles spread like wildfire and inspired many other ventures. Almost all the financial institutions available to the public today have their origins in co-operation. Very little started as politicians’ initiatives, they all grew from the bottom up. Insurance, building societies, penny banks, friendly societies, educational and scientific institutions, educational associations, libraries, they all originated out of mutual movements. I mention this history to underline there is precedence for building the economy from below, indeed from below is the only way to do it! Why do you think we have forgotten about mutuals in the last 50 years? Or do you know of places where mutuals are still strong? You can see many of the functions of the traditional marketplace online. It is not possible to take a bath online but you can order a meal and have it delivered. You can share news, express opinions and whilst law courts continue in real life, you can express your views about anything. Let’s not be starry-eyed about this! Big servers scrape data about our online habits and so offer massive multi-nationals power over local marketplaces. For example, when a small bookshop advertises a special offer online, Amazon detects it and undercuts their offer. The challenge to use the Internet to support local economies without handing the local economy over to big business. We need to help money circulate locally, and not allow corporations to extract it into off-shore tax havens. This means we need to surrender the delightful habits of these early years online, where content is free. Free content allows large servers to collect information about us. They have no obligation to pay us for our information. And it means it is more difficult for artists to generate income from their work as copyright becomes more difficult to enforce. Free content is attractive for obvious reasons but ultimately it impoverishes the market place because there is less money circulating and enriches the mega-wealthy elites. The early vision of the Internet was something independent and open to all users. For this to work we need to re-discover the principles of the local market place; a place governed by democratic consent, where we are all buyers and sellers. To do this we need to build relationships and trust locally. But is this even possible? 5	What is a Marketplace? We hear a lot about “the marketplace”. The problem is these days business people and politicians decide what it is for their own purposes. At one time the marketplace’s role was to build community; it was the centre of activity for mutual benefit. Of course, there were always cheats and charlatans, so markets were regulated in various ways. Weights and measures have always been regulated. In the Old Testament you will find passages about fair weights and measures, eg Leviticus 19:35-36. Amos 8:4-6, Proverbs 20:10. 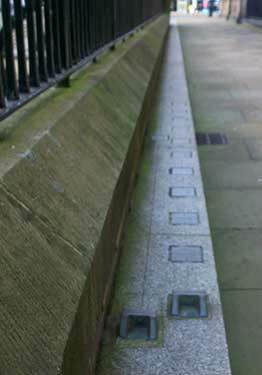 It is possible to see the standard measure of length in Sheffield city centre today. Whilst regulation is essential for a just marketplace, it is trust that makes the market work. People mostly deal fairly because they know it is in their mutual interest to do so. Regulation sets a standard of fairness and allows for redress when someone deals unfairly but it does not of itself make the market fair. Many community organisations call themselves a forum. Today ‘forum’ almost means meeting or perhaps organisation. Leviticus 19:35-3. It is still possible to see the standard measure of length in Sheffield city centre today.This sort of cheating is not a problem because it can be regulated. But let’s look at what a market was in more detail.A popular word amongst community organisations is forum. It’s become a word that is thrown around in a way that amounts to a fairly ordinary gathering of people. It almost means meeting. If you have visited Rome, you will have seen the Forum and so understand it is a place. It was the city’s market but far more than a place for buying and selling. They shared news (on walls or from soap boxes) and citizens could contribute to political decision-making or take part in legal decisions. It was possible to take a bath, have a meal and keep the children entertained. If you had something to sell you took it to the market. Whilst you must obey the rules you had a right to be there. It was your expression of your livelihood. Contrast with today’s privately owned out-of-town shopping centre. They resemble something like the traditional forum. But their purpose is to enrich a distant owner. They are designed to encourage people to go there for leisure and to spend. It is not about enriching a community, it is about extraction of wealth from the community. Where do you experience anything like old-fashioned markets or forums? Is the Internet more like the traditional forum or an out-of-town shipping mall? Charles Darwin’s survival of the fittest has a lot to answer for. It seems Darwin supported the idea that competition is totally natural. But survival of the fittest is culturally determined. I read somewhere the term did not appear in Darwin’s first draft! You can see the appeal to people seeking to justify their greed and lust for power. The fittest is the one who fits best. And you fit best by collaborating. Even relationships we might read as violent can be mutual. Foxes need rabbits yes. But rabbits also need foxes; without foxes they compete for food and ultimately starve. Examples of collaboration in the natural world far outweigh examples of violence and use of force. Nothing works when the bullies take over. Nothing evolves on its own, punching its way to superiority. Eco-systems evolve, not individual species. So, the marketplace is not an arena for competition but for collaboration. It is where we supply one another’s needs and a place to exchange ideas and support each other. It is only in relatively modern times that we understand it as a place for competition. Competition happens when things go wrong, the fittest survive because they know how to collaborate. We enter the marketplace because we have something to share. When we’re online we’re in the market place: those who go there to scam, bully or otherwise be destructive are ultimately not survivors. Web design is barely 20 years old and so it is no surprise designers do not agree about what their job is. It is an important question, especially where resources are scarce and value for money crucial. Even if a wealthy business or charity can afford a beautiful site that does no work for their organisation. no serious organisation can be satisfied with this. The problem is many organisations do not know there is an alternative. The old model is ‘graphics – words – numbers’. The message here is the site’s graphics are most important, then the content (often supplied by the client and not of particular interest to the designer) and then numbers – the research to find out what actually works for the client. The new model reverses this: numbers – words – graphics. First we do research, then construct excellent content, get it online, more research and as we find out what works introduce and improve the graphics. I would add two more terms to these series, which I think shows the difference between (traditional) web design and web consultancy. With numbers first, the web consultant can help their client find their place in their market. Their site design should grow naturally from the client’s understanding of their market. Do you know your market, their demographics, their level of awareness of what you’re offering and their habits online? With first-rate content, visitors to your site will understand your offer and its benefits. It encourages visitors to use your service and they might recommend your site to others? How you structure your site, your branding, each page’s appearance, how people land on your site, the links between pages; all contribute to your site’s success. What is best practice for the various types of pages found on websites? I shall compare home, about, contact, landing and other page types. What content is on them? How can it be improved? What are the basics for layout of pages? What works and what doesn’t? How to bend your CMS to your will! How do we square the various demands on the site? These may originate from various priorities within an organisation or else from the competing demands of search engine optimisation, good copy, legal issues, accessibility, etc. Reviews of sites and groups of sites to show what works and what doesn’t.